A clinical laboratory that offers genetic testing services globally has received an investment from the IBM Watson Group. The bioinformatics market, which includes genetics, is expected to grow to $12.86 billion by 2020.You will not catch IBM sleeping at the opportunity wheel at the thought of mobile device users turning to apps that tell them how they are and what they should do to maintain good health based on their own health status, i.e., just a click, tap or swipe away from personalized wellness information. The new release refers to a "cognitive consumer-facing app based on genetics from a user's personal makeup." IBM announced the investment in Pathway Genomics. Pathway's and IBM's strengths are fused with this opportunity to leverage the natural language processing and cognitive capabilities of Watson. "We are fortunate to team with them as we enter this new era of cognitive medicine." said Michael Nova, MD, chief medical officer, Pathway Genomics. At center-state of this announcement is news that Pathway Genomics is developing a new mobile app with help from IBM Watson Group. The app is called Pathway Panorama. The user can ask Pathway Panorama questions powered by the "cognitive intellect" of Watson "based on their own wellness-related genes, wearable data, and other related wellness information, like emotional, physical and social well being," said the news release. The app will go to work referencing millions of pages of healthcare data from medical journals and clinic trial data within seconds. Panorama will also routinely monitor a user's health and wellness information, and ping the user with any new relevant recommendations. "The result is recommendations that fit each of us like a surfer's wet suit," said Dr. Nova. "Say you've just flown from your house on the coast to a city that's 10,000 feet above sea level. You might want to ask how far you could safely run on your first day after getting off the plane—and at what pulse rate should you slow your jogging pace." Bio-IT World on Thursday wrote about the investment move. Allison Proffitt said that the investment was the result of an 18-month testing period of Panorama. Proffitt said, "Panorama will be able to integrate all types of health data—published literature; personal fitness data; user-added information on mood, diet, sleep; electronic health record data; and genetic data—thanks to Watson's data mining abilities. 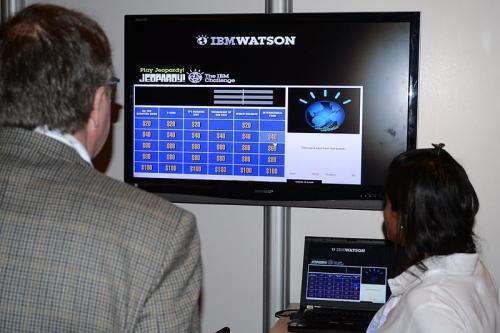 Watson will query it all to provide real time answers to user questions within three seconds." The app is expected to be available next year. Dr. Nova said, "We have not yet set pricing, but we expect to charge a small monthly fee. We also are creating a version for physicians." In the bigger picture, "IBM is investing $1 billion into the Watson Group, focusing on development and research and bringing cloud-delivered cognitive applications and services to market," said the news release. "This includes $100 million available for venture investments to support IBM's ecosystem of start-ups and businesses building cognitive apps made with Watson."